UFC 172 Jon Jones vs. Glover Teixeira Fight Pick & Preview | MMA Fighting Events Videos Techniques UFC Fight Picks and News. 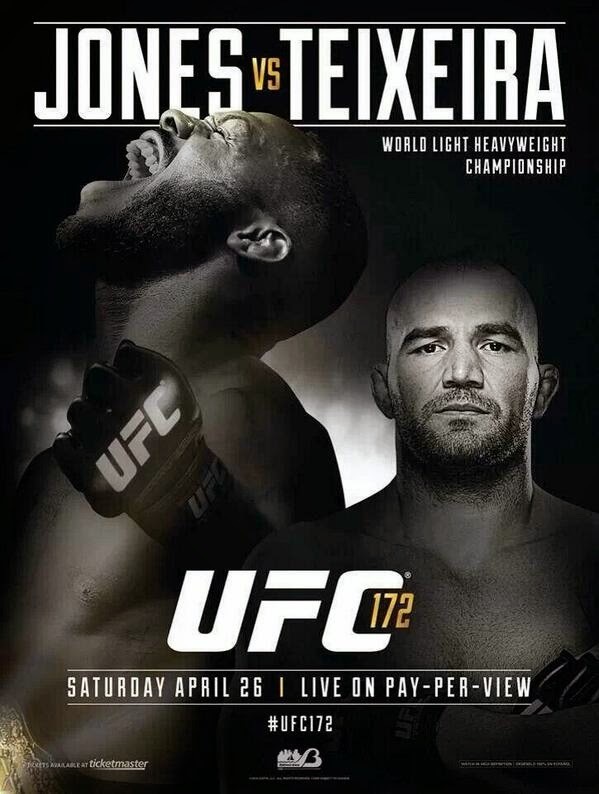 This Saturday April 26, 2014 Jon Jones takes on Glover Teixeira at UFC 172. Jones will attempt to add another title defense to his already record setting 6 defenses. Teixeira is a KO artist and finally gets a chance at the UFC Light Heavyweight Championship! My fight picks are a growing in their legendary status due to their accuracy. I’m 12-1 in my last 13 UFC Pay Per View main event fight picks and I plan to keep my legendary status with this pick. Let’s take a closer look at these fighters and then I’ll make my official fight pick for UFC 172: Jon Jones vs. Glover Teixeira. Glover Teixeira comes into UFC 172 with an overall MMA record of 22-2. More impressively he’s won 20 fights in a row. Since entering the UFC, Teixeira has racked up 5 wins including 2 KO/TKO’s and 2 submissions. 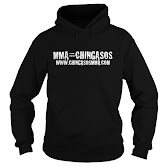 Teixeira is a complete MMA fighter, overall he has 13 KO/TKO’s and 6 submission victories. His KO power sets up his ground game and vice versa. There’s danger anywhere you take the fight with Teixeira. Jon Jones has been an absolute beast in the UFC’s Light Heavyweight division. He ran through it like a runaway freight train, captured the title and has defended it six times since. Jones has an overall MMA record of 19-1. Don’t let that one blemish fool you. He was dominating that fight and only lost due to an illegal elbow DQ. Jon Jones is the complete MMA fighting package. He’s fast, strong, agile, and uses his length and size in an expert fashion. His strikes come from all angles and his ground game is battle tested! Glover Teixeira is great fighter, with explosive KO power. But, while he’s racked up 20 MMA wins in a row, those wins haven’t been in the Major Leagues of MMA, the UFC. The caliber of fighters he’s faced has been subpar, even in the UFC. Jon Jones has faced the best of the best. He’s dominated facing the best of the best. His toughest test was in his last fight with Alexander Gusafsson. Gusaffson gave him a great fight, but even then, when it got into the championship rounds, Jones was able to turn it on and show that he’s a true champion and will find ways to win. The only way Teixeira can pull out a win in this fight is by landing one of those bricks he has as fists on the chin of Jon Jones. Unfortunately for Teixeira, Jones is too smart and too good of a strategist to let that happen. Jones also has the body type to keep Teixeira at bay. Look for Jon Jones to pick Teixeira apart with strikes and by using his grappling to set up openings. The longer this fight goes, the more Jon Jones will be able to build momentum and dictate the fight. When the fight is over, Jon Jones will have defended his title 7 times!